Jared Asch toes the rubber against Francis Lewis. "Gentlemen, you may exhale." 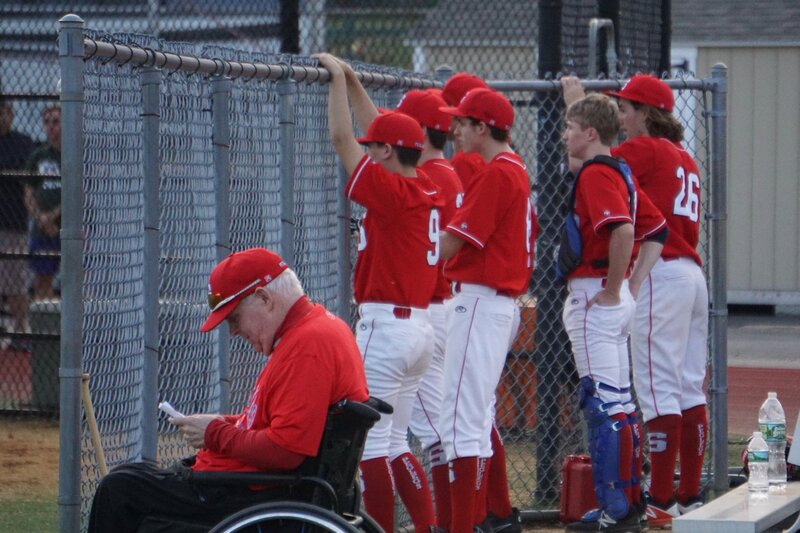 Coach presides over a relieved post-game conference. 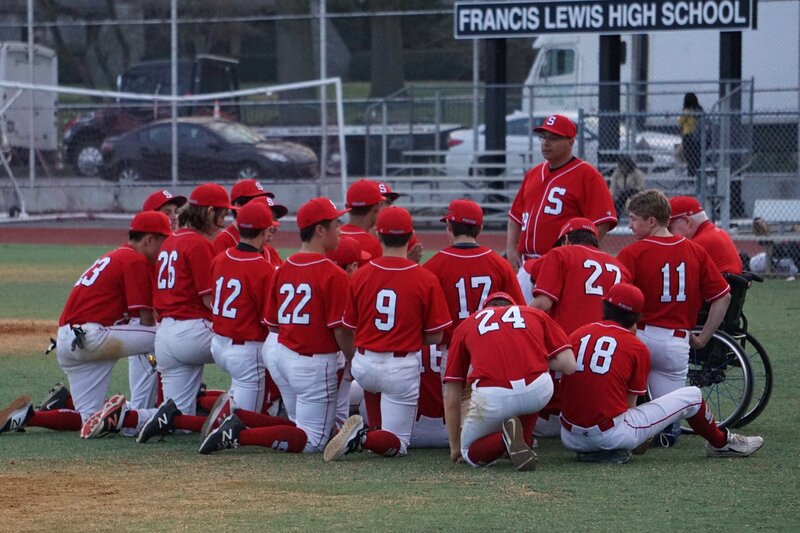 Congrats to the Peglegs on their win over Francis Lewis HS 5-4. The Peglegs are now 4-1 in division play. 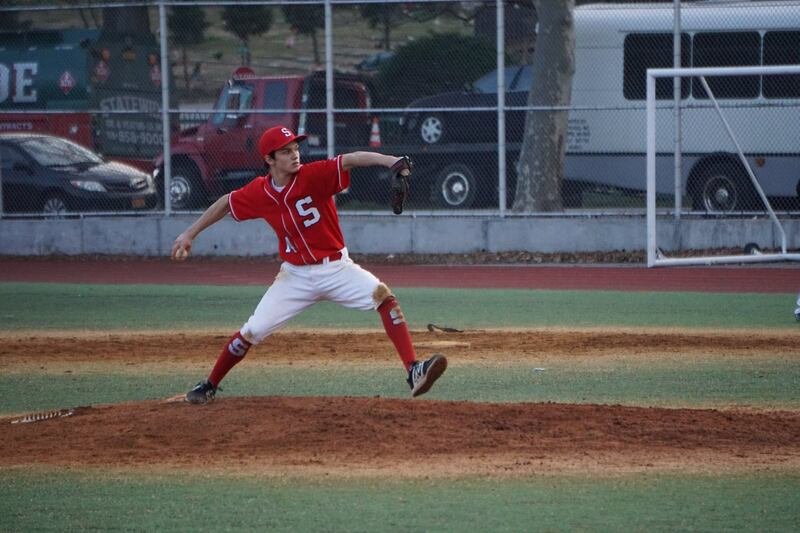 The action continues tomorrow against John Adams HS in Queens. The boys never let up in this one with good pitching from Jared Asch and closed out by Malcolm Hubbell. 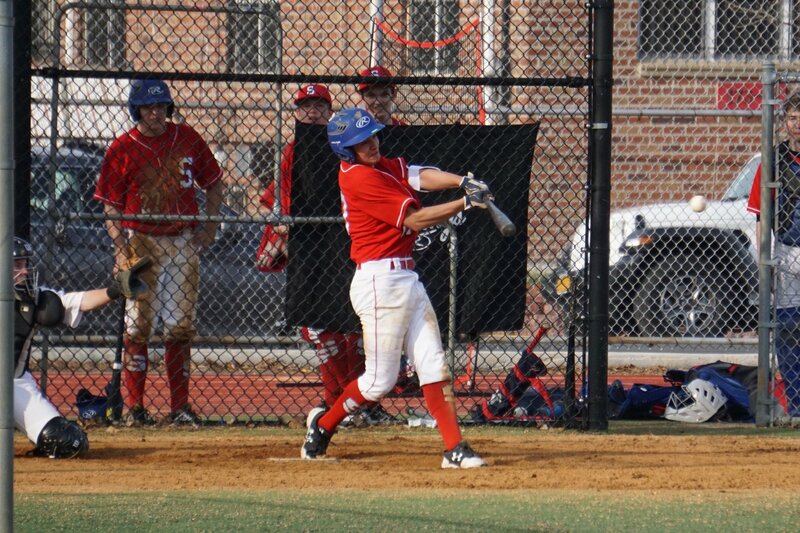 Jared also had 3 hits on the day and so did Max Mah. 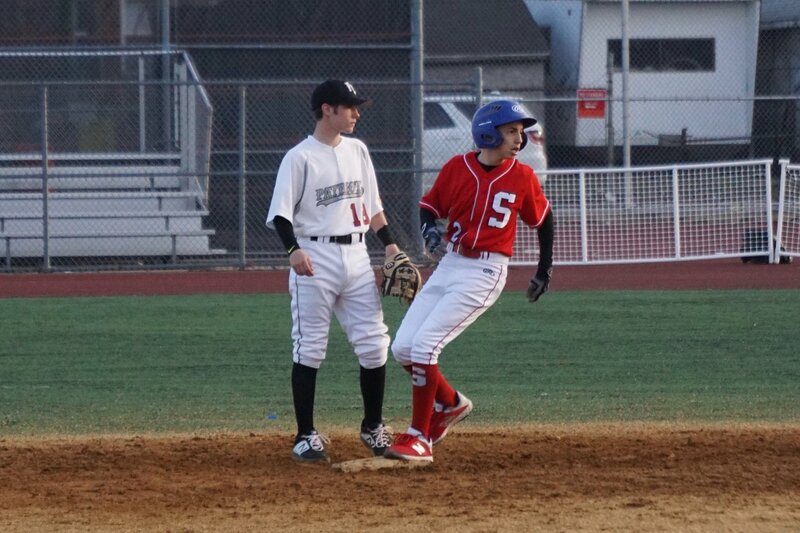 Jeremy Rubin came up big with some key hits and a great play at 3rd. 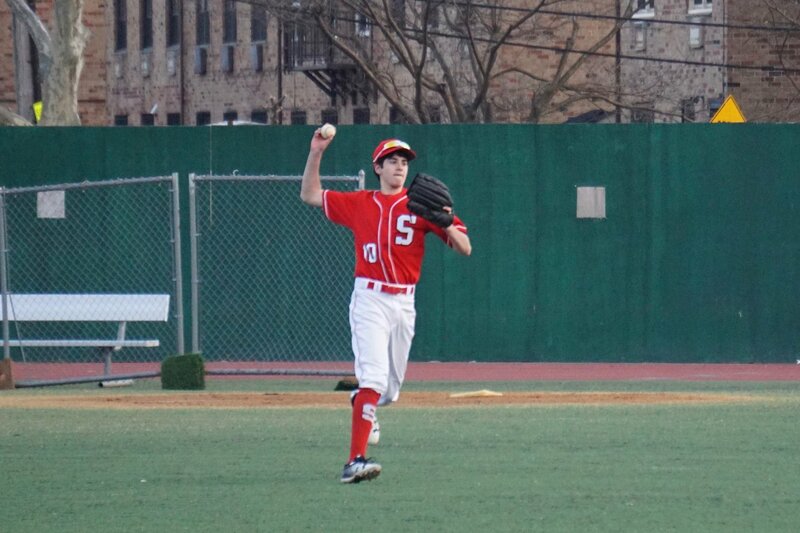 Stuyvesant PEGLEGS Varsity snatched the lead late in the game in a 5-4 victory over Francis Lewis high school on Monday. 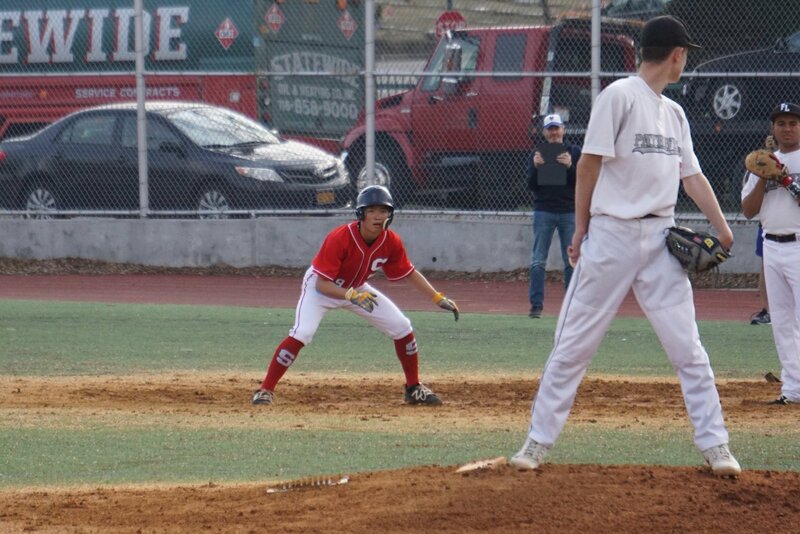 The game was tied at four with Stuyvesant batting in the top of the seventh when Jeremy Rubin drew a walk, scoring one run. 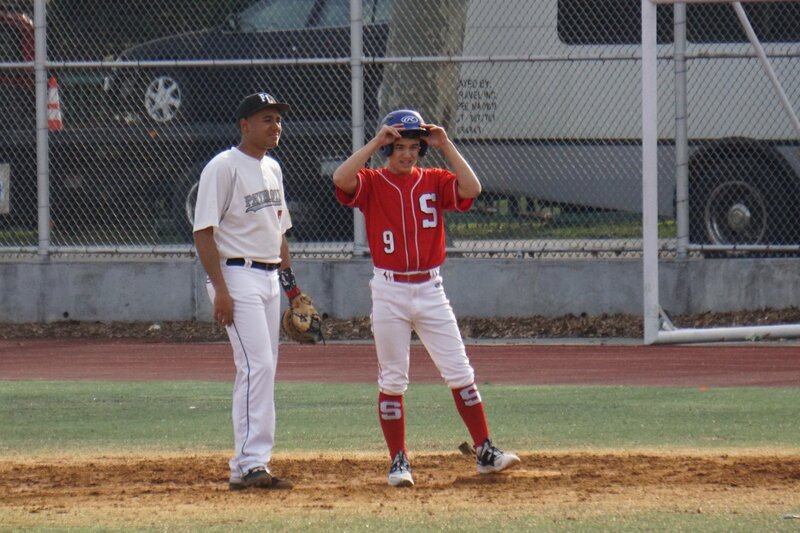 Stuyvesant got on the board in the first inning when Jared Asch singled on a 2-2 count, scoring one run. 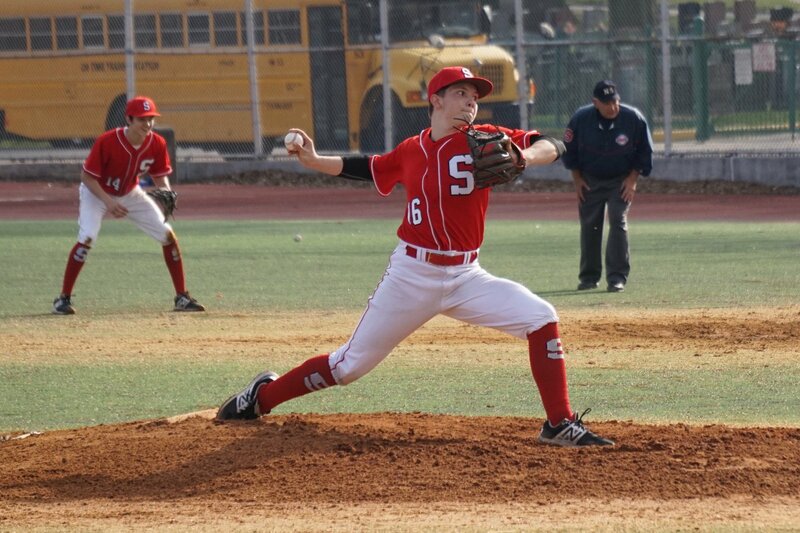 Asch led things off on the hill for Stuyvesant. He surrendered two runs on four hits over five innings, striking out six and walking zero. 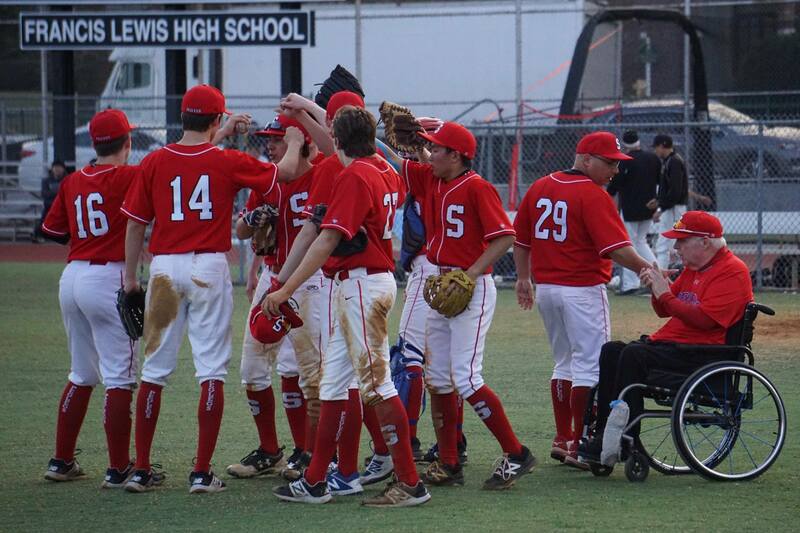 Jefremow was on the mound for Francis Lewis. 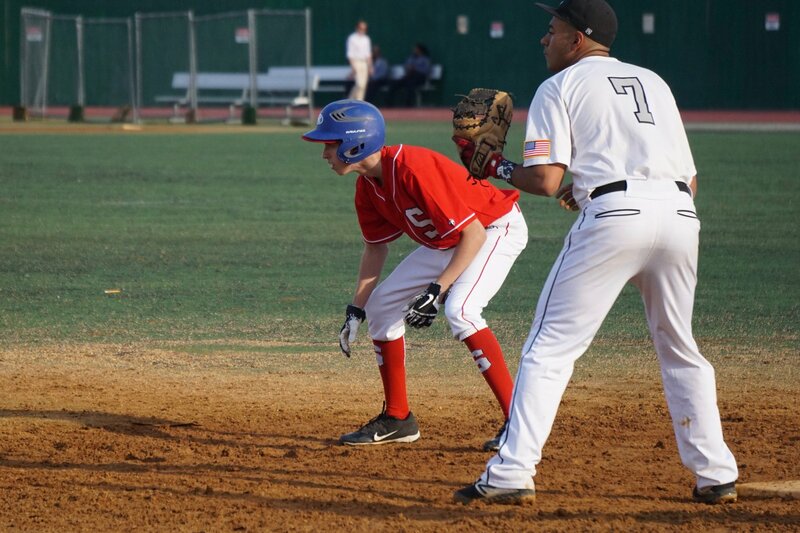 He lasted six innings, allowing ten hits and four runs while striking out two. 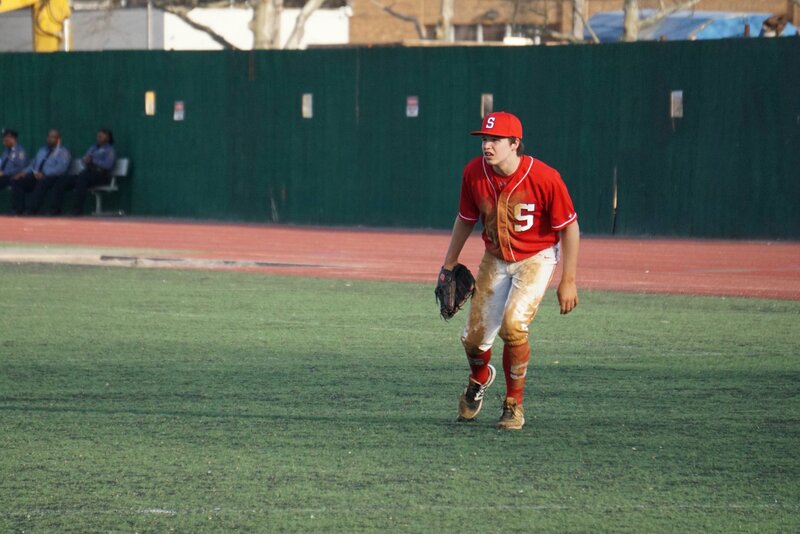 Mak and Ramnarayan entered the game from the bullpen, throwing two-thirds of an inning and one-third of an inning respectively. 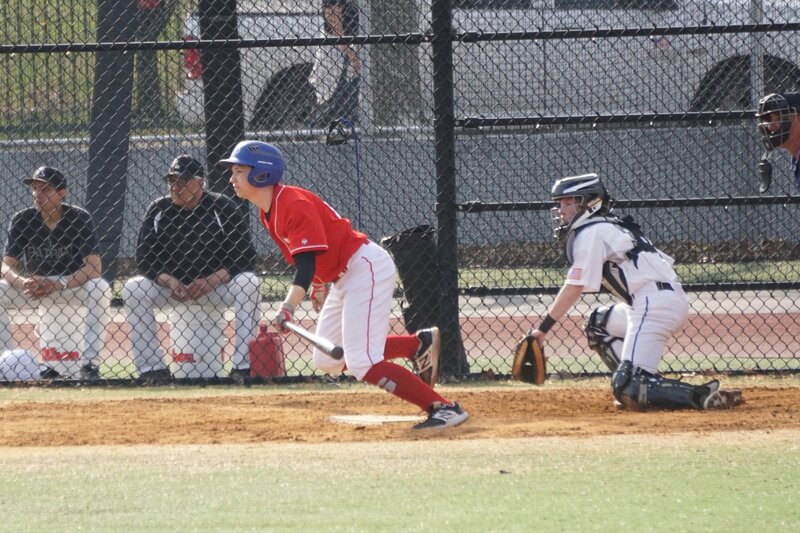 Stuyvesant collected ten hits on the day. Rubin, Asch, and Max Mah all managed multiple hits. 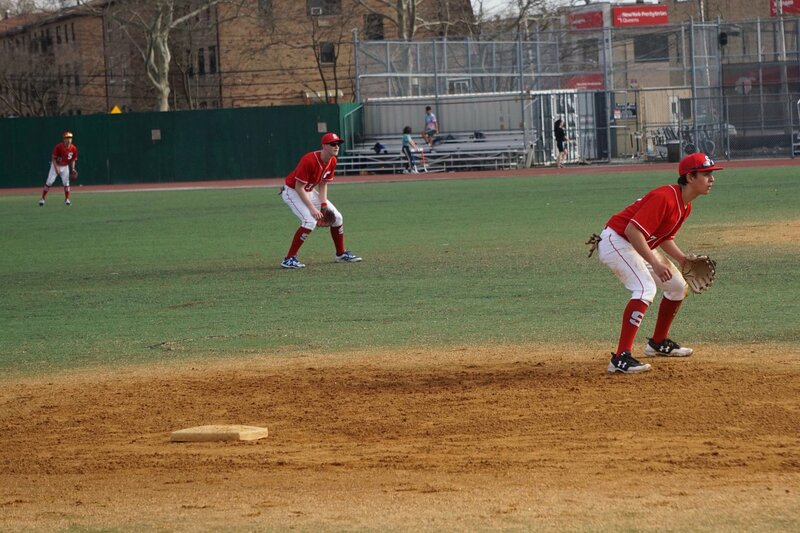 Stuyvesant tore up the base paths, as two players stole at least two bases. Sam Levine led the way with two.